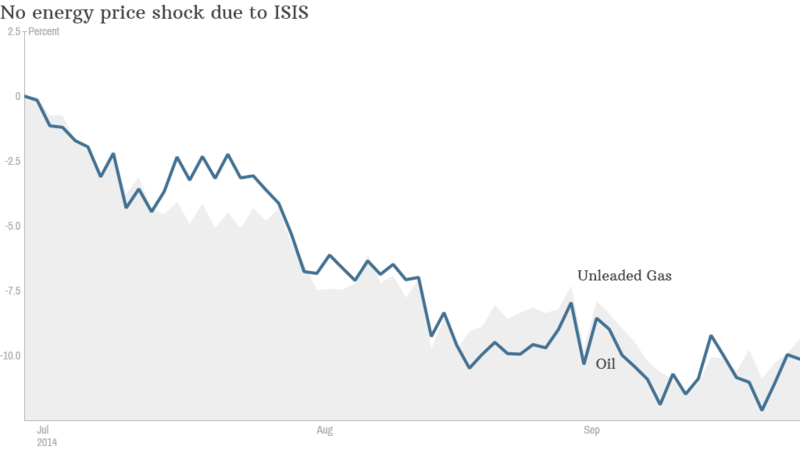 Oil prices have fallen sharply over the past few months -- even though the terrorist organization ISIS has taken control of some refineries in Syria and Iraq. Prices haven't shot up since the United States and its allies have started to conduct airstrikes against ISIS oil targets in Syria either. It may seem strange that prices haven't skyrocketed. Typically, tension in the Middle East has caused serious concerns about oil supply being taken off the market. But experts say there are several reasons why the ISIS situation has not pushed energy prices up ... and that the trend should continue. ISIS supply disruption is minimal. 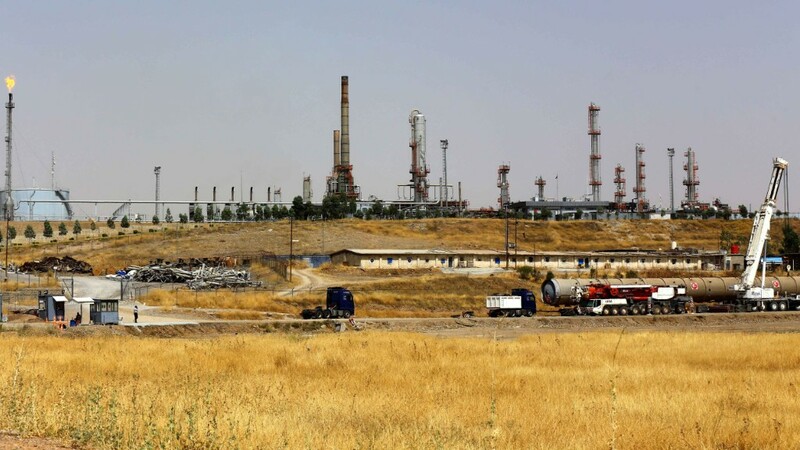 While ISIS has made headway in eastern Syria and northern Iraq, it has not yet been able to take control of many oil properties in the southern part of Iraq. Unless ISIS does so, there is probably little reason to worry about global supply being cut. "There has been no visible production decrease yet. ISIS has made a push for the south of Iraq and has not succeeded. And that's where a significant portion of the country's oil production and infrastructure is," said Dan Pickering, co-president of Tudor, Pickering, Holt & Co., an investment bank that focuses on the energy industry. Pickering adds that Libya is starting to restart production of oil again in a major way. That should help boost supply and keep prices stable. Strong dollar, weak Europe and China. Oil, like many other commodities, is priced in dollars. When the dollar is strong (as it is now) that makes the price of oil much more expensive in areas outside of the U.S.
That's a problem for Europe in particular. Europe's economy is showing serious signs of strain. There are legitimate concerns about deflation and another recession. "Oil is getting cheaper from a U.S. perspective, but that's not the case for countries with weaker currencies," said Brad McMillan, chief investment officer for Commonwealth Financial. "I wouldn't be surprised to see demand fall in Europe and China." The U.S. isn't as addicted to foreign oil anymore. The shale gas boom in the U.S. is a game changer for oil prices. The U.S. is importing a smaller amount of oil lately as a result of increased domestic production. According to the most recent weekly figures from the U.S. Energy Information Administration, imports are at their lowest levels since mid-May. The U.S. imported just 6.87 million barrels a day in the week that ended September 19. To put that in perspective, the U.S. was routinely importing more than 10 million barrels a day each week in 2008. In fact, Pickering thinks that supply from the U.S. is actually helping keep oil prices from falling further given the concerns about deteriorating demand. He said that based on current supply and demand trends though, prices for Brent crude, the most common type of oil trading around the world, could fall another $5 to $10 a barrel to the high $80s or low $90s. And McMillian thinks that the price of the type of oil most commonly traded in the U.S. could tumble as low as $80 to $85 a barrel from current levels of around $93. "The U.S. energy renaissance is just beginning," he said. 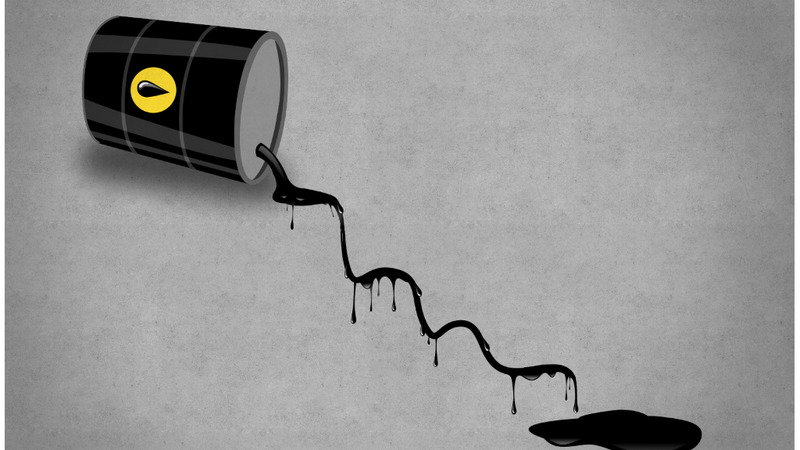 "The Middle East is no longer as influential in setting oil prices." Of course, the situation in Syria and Iraq bears watching. But until there is a legitimate reason to be concerned about a hit to supply, Pickering thinks oil investors will continue to ignore the headlines. He said investors have grown fatigued by worrying about a geopolitical-induced shock that never seems to come to pass. "We've had turmoil in the Middle East for a long period of time and we've never had any major supply disruptions," Pickering said.